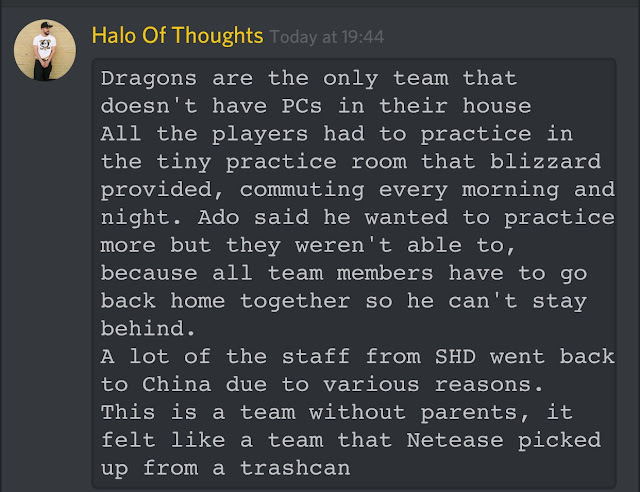 The problems we’ve seen the Shanghai Dragons go through this season start from the top down and from the beginning of the season. After it was announced that NetEase had bought the rights to own the sole Chinese team in the league, the owners were expected to pick up the best Chinese team in the scene and the only team outside of Team Envyus who were deemed as a team who could rival the Korean power houses in Miraculous Youngster. However, Chinese and Miraculous Youngster fans where stunned when the Dragons didn't pick up the team and the only players selected with any type of recognition were Chen "Altering" Yage, Lu "Diya" Weida and Chen "Fiveking" Zhaoyu. The team had decided to go in a different direction with more unknown or untested players, this was a signal of things to come for the Dragons fans as the mistakes as an organisation have continued. After no signs of improvement and issues with players, such as the dismissal of Chao "Undead" Fang from the team after digressions in his personal life where made public. The team made mid season signings of four Korean players in Gi-Hyeon"Ado" Chon, Eui-Seok "Fearless" Lee, Se-Yeon "Geguri" Kim and Dae-Min "Daemin" plus bringing in former MY player Junjian "Sky" He to improve the team's fortunes. While these moves we're both much needed and an upgrade on the former line up, they were always facing an uphill battle to improve in half the team that other teams had. 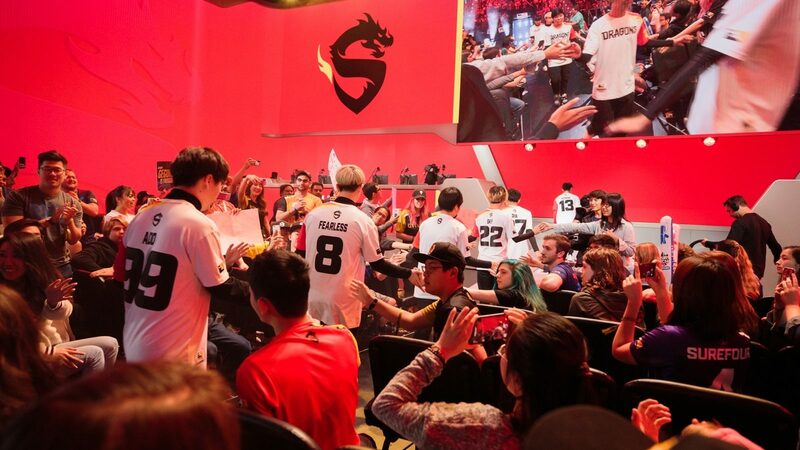 Try as hard as they might, it always felt that they were always going to come up short, despite improvements in play from players such as Ado and Geguri from the original line up and Diya who had now moved into a DPS role that suited him. While the results haven’t come in at all for Shanghai, their back room support has been like a hot seat than the steady and stable approach that most teams needed. To start the season the team surprisingly hired relatively unknown LDG coach Chen "U4" Congshan over the more popular and wanted Xingrui "Rui" Wang to lead the team. 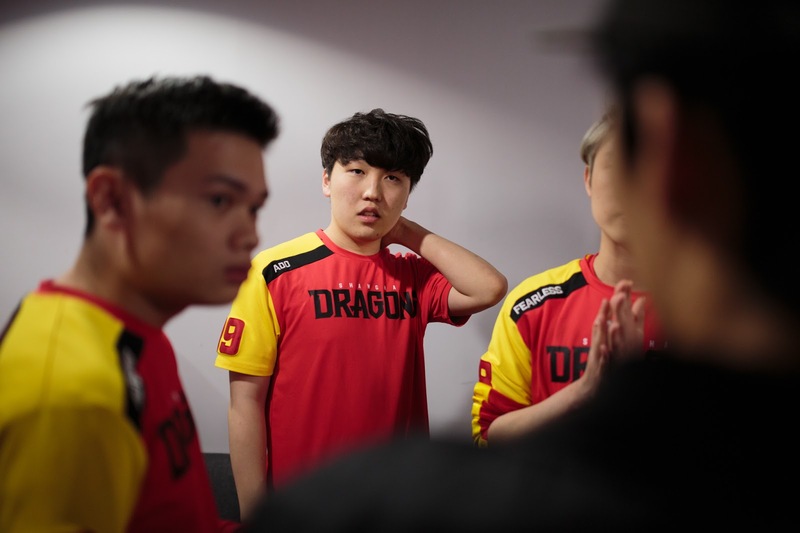 His inexperience was clear to see when the Dragons only won seven maps in the entirety of stage one and showed no signs of improvement in either developing or willingness to learn compositions that would benefit the team. With performances looking progressively worse, the team fired U4 and brought in the coach that they were expected to sign in Rui along side four new acquisitions that we will talk about later. Under the leadership of Rui, the performances improved even if the results hadn't and it seemed bringing in ex MY player Xiao "Creed" Yan had helped the team get an understanding and a plan was clearly in place to get this first win. However, the result never came and Rui left citing "health issues" as the cause for leaving the team, despite him now being the head coach for China's world cup team. The team were once again reliant on an inexperienced coach at the level required to lead the team in Jun-Young "Kong"Son and while he's been a required component to the team, the level of play between Rui and Kong's leadership is clear to see. It's not only the coaching team that have let the Dragons down throughout the season. Despite living in their team house, they still haven't gotten PC's and these are currently two weeks late. The team having to practice at the room's provided by Blizzard instead of having their own designated room at their gaming house is huge stumbling block to their development. With the team also now being a mixture of Chinese and Korean, there is a problem with communication and their has been a reliance on a translator. There have been problems with this side of the team as well, as they are now on their second translator and this lack of communication has shown in game with such problems as ultimate management clearly effecting performance. So with four game left to go of the season where do the Dragons go from here? They have two options roster wise. The first is that they could continue with the Korean core of this roster who've had the better performances and give them further time to grow. Despite their lack of wins, they've become the darlings of the Overwatch League and the one team everyone seems to be backing the most as they currently have three of the top five nominations for league MVP in the fan vote. The second option and the one that there have been rumours of, is for the Dragons to clear house and start over with a full Chinese roster. If they did this I would expect them to keep Altering and Diya as they have been two of the better players for the Dragons this season and pick up Ou "Eileen" Yiliang, Zheng "Shy" Yanhjie & Xu "Guxue"Qiulin from LGD Gaming, Team CC's Ma "Lateyoung" Tianbian and Wei "Jiqiren" Yangsong who are both formerly of Miraculous Youngster and finally keep Fiveking due to his ability on Lucio. This roster should be one that while is young has a mixture of youth and experience required to play in the Overwatch League, Diya and Eileen would also in my opinion become one of the leagues better DPS duos. The Dragons seemed to be going down the route of a win-less season and what ever they do to improve during the impending off-season will still make them as a project team that need may need to be given more time to improve even in season two.